In this book, Barbara Roose encourages women to recognize and embrace their God-given beauty. Each of its twenty chapters contains a wealth of information and encouragement. The author shares her personal beauty stories and struggles, as well as those from other women she has surveyed. Scriptures and biblical teachings are also shared and each chapter concludes with questions for group discussion and personal reflection. 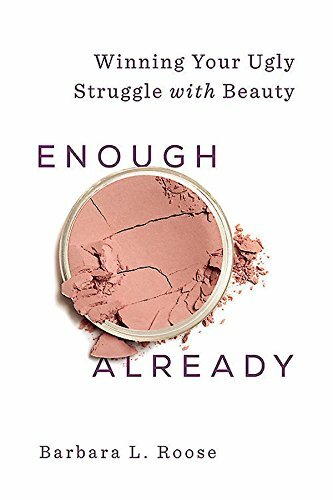 Barbara Roose writes with openness and honesty as she offers advice on how to win your “ugly struggle with beauty.” I enjoyed her message and appreciate the opportunity to read and review Enough Already. I received a complimentary copy of this book through Litfuse Publicity. All thoughts expressed are my own. Thank you for taking the time to check out my new book and to post your feedback to your audience. I appreciate it! You’re welcome, Barbara! Thanks so much for stopping by!